If you require glasses in order to meet the requirements for driving legally, then you must ensure that you wear them whilst you drive (or corrective lenses). There are some conditions that you need to let the DVLA know about when you apply for your driving licence - a condition that affects both eyes, other than short/longsightedness or colour blindness, or any visual condition that affects your sight. When applying for a provisional licence you should declare if you've just had sight correction surgery. 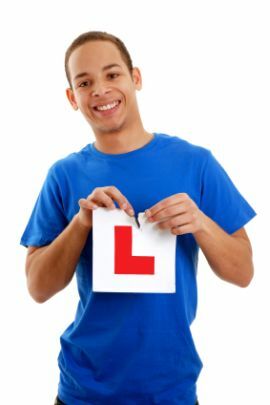 The requirement that will be tested before the practical test commences is to read a number plate on a stationary vehicle. The distance requirement is 20.5 metres, with new style number plates it is 20m. There is a procedure in place such that if you can't read the first number plate, you are asked to read a second number plate, and if you can't read that you can walk up to the appropriate distance away. You get a third chance and on this occasion the distance will be marked precisely by the examiner.